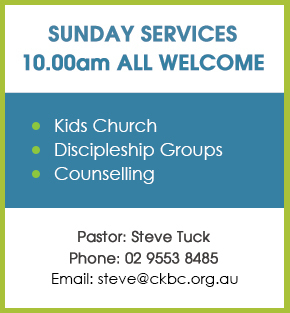 Steve has been the pastor of Carlton-Kogarah Baptist Church since June, 2006. 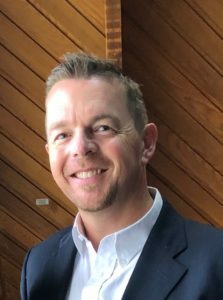 Prior to this he was Associate Pastor of Maroubra Baptist Church for three and a half years where he held responsibilities in Youth and Young Adult Ministry. Steve has served as a Baptist Pastor for over ten years overall. Steve continues to minister among people of all ages including youth and young adults in his role as Pastor of CKBC. 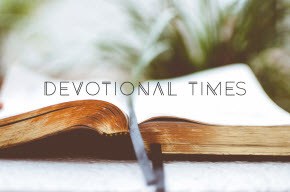 Steve received his Accreditation as a Baptist Pastor upon the completion of his Bachelor of Ministry and Advanced Diploma of Theology from Morling College in 2003 and was formally ordinated at Maroubra Baptist Church not long after. Prior to becoming a Baptist Pastor, Steve worked in the area of Community Mental Health for four and a half years after gaining his Bachelor of Social Work Degree at Sydney University (where he met his wife Fiona) in 1994. Steve also completed a two-year Christian Counselling Course through LifeCare – the counselling service of Baptist Community Services. Steve’s passion is helping people find new life and transformation through Jesus Christ. Steve’s preaching ministry is focussed on helping people discover new life in Jesus and equipping others to effectively share the life-transforming power of Jesus to others. Steve is married to Fiona and they have three much-loved school-aged children, having lost their first-born to Sudden Unexplained Death in Children (SUDC). They love to do ministry together where possible, serving together in Pre-marriage Counselling and in the provision of pastoral care to those in need. Steve enjoys playing competitive tennis and fondly remembers the days when he had the time to go surfing and snowboarding. Steve is also a keen Chess player and has an interest in history.